My final day in the Napa Valley started with a visit to Shafer Vineyards back in the Stags Leap District. 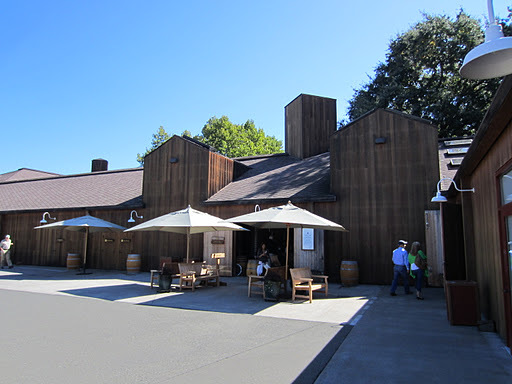 Shafer dates back to 1972, around the same time that Stag’s Leap Wine Cellars were established and before the Napa Boom post-1976 Paris Tasting. You most definitely can’t say that John Shafer was jumping on the bandwagon. He left a career in the textbook publishing industry to establish a vineyard to grow grapes, and took his time to re-establish the site before producing his first vintage in 1978. From the beginning the wines gained much attention, and they have been producing their flagship Cabernet from the same vineyard for over 25 years. 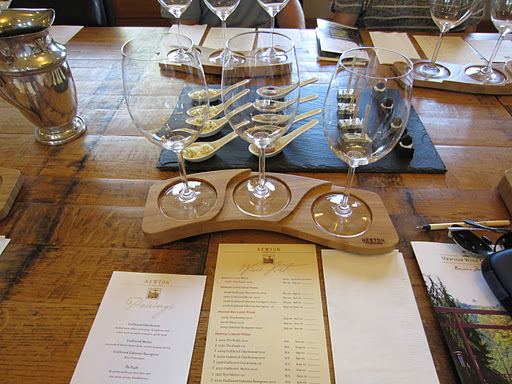 Visits to the winery to taste are only by appointment, twice a day. A tour and sit-down tasting of the wines, which total a retail value of over $450, costs $45. This sounds like a lot but it is common in California; charging is standard practice, and the Napa Valley is generally more expensive than other regions. 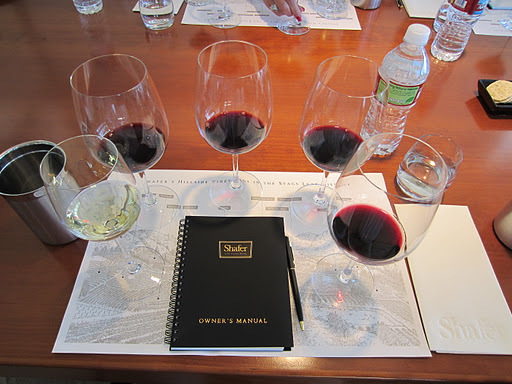 Considering the private and exclusive nature of the tasting, and the quality of the wines it is not surprising that numerous wine critics have praised Shafer for their tasting experience. This is certainly helped by the quality of the wines. Structurally the Shafer wines are some of the best I’ve seen, and they manage to allow the fruit to express without interfering with oak and alcohol. They are very intense in fruit character, not uncommon in Californian wines and therefore are unmistakably New World in style. The other guests who enjoyed the tasting were fervent admirers of the wines, travelling from as far as Boston to sample the wines. As some might know Oscar-winning director Francis Ford Coppola has been in the Californian wine industry for quite a while now, and it is hard to go into a liquor store here and not see at least one of his many wines. 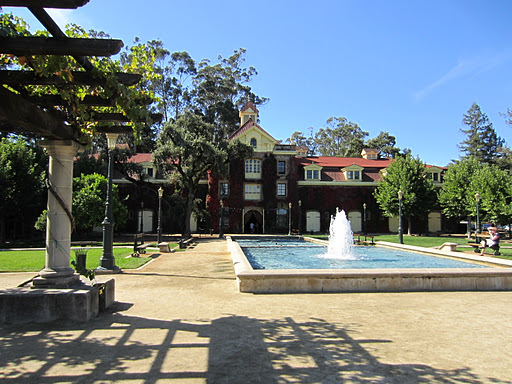 He purchased Inglenook Estate, one of the first wineries in the Napa Valley, back in the 1970s and in the 1990s renamed it Rubicon Estate. The original chateau built on the property houses the cellar door and wine museum, along with some of FFCs movie memorabilia. It’s a pretty slick setup, and the chateau feels like something out of Europe but not in a fake way. There are so many other things for sale there its easy to forget you are in a winery. I declined tasting there as it was a bit too charming for me. 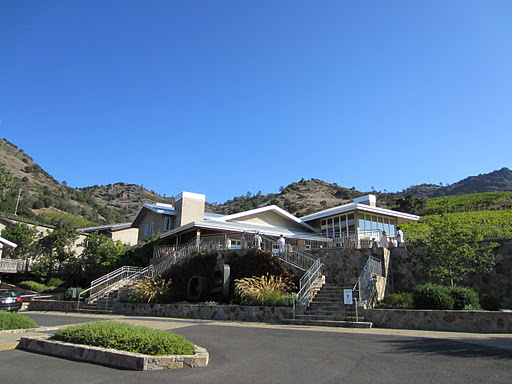 Cakebread Cellars was established in 1973 by Jack Cakebread, a professional photographer. Their chardonnay is legendary in the US, and is not only completely recession-proof but they are forced to allocate due to overwhelming demand. The visitor centre is split across various areas, centrally located in the original winery. The wines are very pure varietal expressions, showing good consistency across the range, but the zinfandel was definitely my favourite. The winery is beautiful, built from cedar and with a natural warmth to it. They have a cuisine school running all-year-round, and it would be a fabulous place to hold an event. No weddings, sorry guys! Part of the Louis-Vuitton Moet-Hennessy Group which includes Chandon California and my former employers Chandon Australia, is Newton Vineyard in the Spring Mountain appellation. 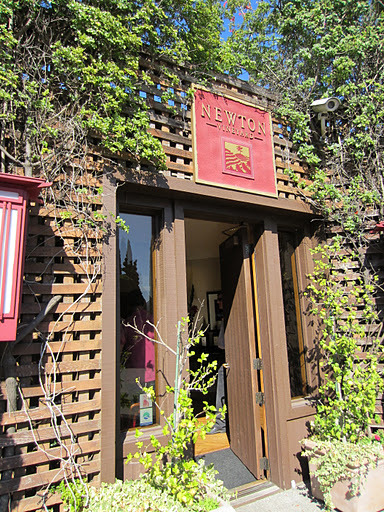 Newton was originally established by Peter Newton (who founded Stirling Vineyards in 1964), and his wife Dr. Su Hua Newton (a former protegé of Coco Chanel). The vineyards at Newton are quite extraordinary, hugging the very steep contours of the mountain. I had tasted the wines and seen pictures when I worked for Chandon Australia, but being there makes it totally different. The cellar is housed under a glorious garden, being a member of the wine club here would definitely have its perks when events are held at the winery. Being part of LVMH has its benefits. Some of the sales and display tools designed for Newton are truly exceptional, and in many cases sustainable too. The connection to Chandon California also means they can have food matches by Perry Hoffman with the wines. The Unfiltered range are in the full and bold fruit expression style of Napa Valley, but are totally in balance. The Unfiltered Chardonnay is very famous for being poured at events at the Whitehouse, and isn’t as rich and buttery as I remember it, it’s actually quite elegant. The tour and tasting here is one of the best I have been ever been on, and it is a lovely secluded place to visit away from the hustle and bustle of the valley floor. Click here to see more photos from Day Three of the Napa Valley, California.